Haber Tire and Auto, LLC, opened for business Saturday, Nov. 22, on South Highway 14, Albion. The new business, operated by Joel Haber and his son, Austin, will offer tires and tire service for all sizes of vehicles, as well as auto service and repair. 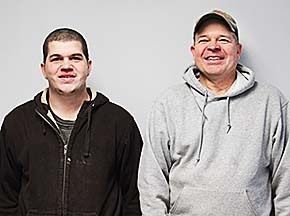 Joel was previously a truck fleet manager for 15 years, and Austin previously worked in a tire and auto shop. Details in the Nov. 26 Albion News Print and E-Editions.